Don't Miss the First Thursday of the Month Bulk Sale! 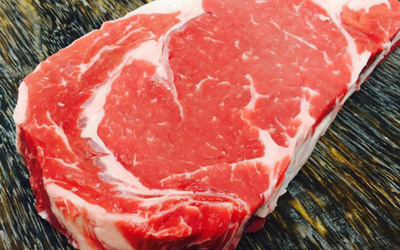 Find high-quality, premium meat for sale at Redmond Smokehouse. 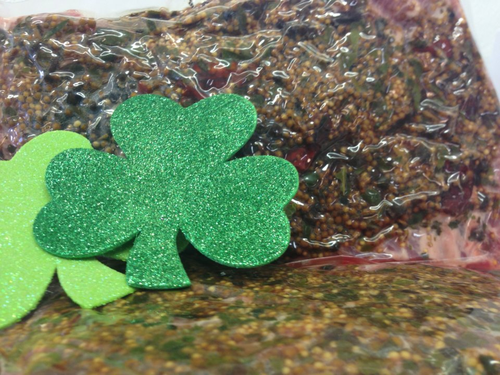 Ask about our fresh hamburger meat processing that's done daily, or our jerky, which is hand cut and never compressed. 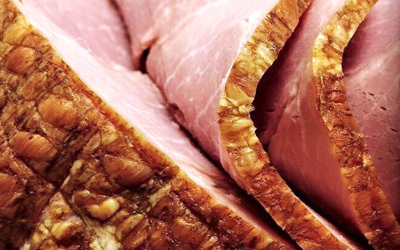 We offer meat cut to order at our old-fashioned counter and only sell high-choice options. 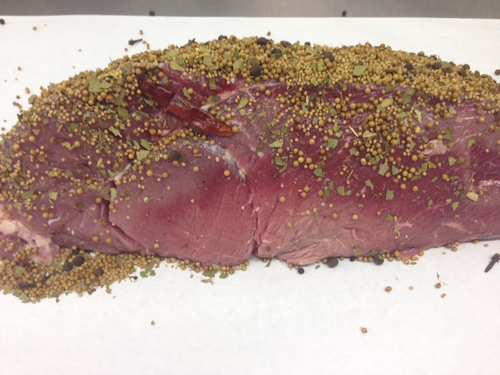 Our popular meat types include pepperoni, smoked sausage, famous jerky, summer sausage, smoked cheese, and snack mix. Four Types of Pork Bacon, Regular, Pepper, Chipotle Lime, Maple Bacon. 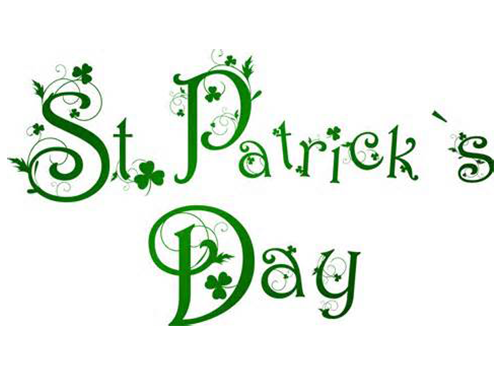 You will find different products like goat, lamb, buffalo, elk, fish, turkey and Chicken! 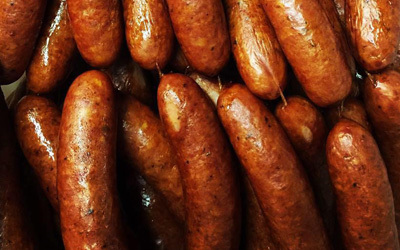 Over 12 different types of pork sausage, 10 different types of fresh links like British bangers, maple sausage links. Smoked Sausage like: German Sausage, October Sausage, Brat, IPA Beer Brats, Andouille, Linquisa, Jal October, Old Fashion Garlic Sausage, and many other sausage links. Sandwiches, Farm Raised Eggs, Summer Sausage, Cheddar Summer Sausage, Jalapeno Summer Sausage, Smoked Cheddar Cheese, Smoked Pepper Jack Cheese. 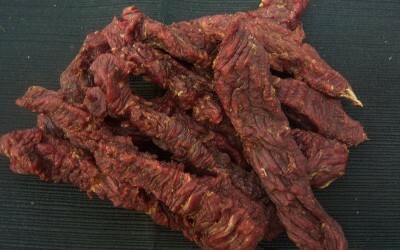 Jerky Flavors Like: Regular, Brown Sugar, Pepper, Garlic, Spicy, Teriyaki, Hot, Sweet Jalapeno. Pepperoni Flavors: Pepperoni, Snack Stick, Jalapeno Pepperoni, Teriyaki Pepperoni, Pizza Pepperoni, Snack Stick, Siracha Sticks, Landjaeger, Habanero Pepperoni. Proud to carry a large line of Molinari Sliced Salami. 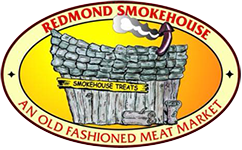 Redmond Smokehouse was founded in Redmond, Oregon, in 1940. Operating in its original building, our meat market has proudly served customers for over 75 years. 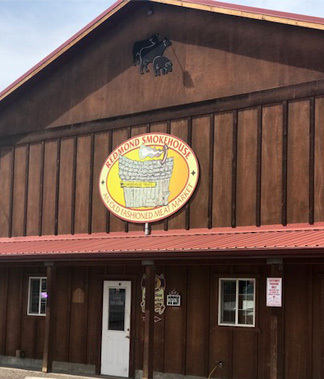 Formerly known as Redmond Lockers & Custom Meat, it was renamed Redmond Smokehouse in 2006. Owner Ben Moore purchased the business from his father so he could provide even more options in meat products and services to customers. Since then, locals have relied on us for quality meat at affordable prices. 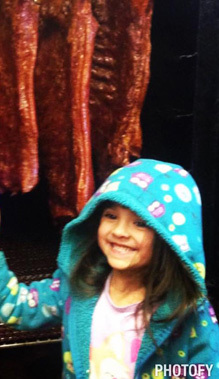 When you're looking for a family-oriented meat market offering low prices on great meats, come to Redmond Smokehouse. We are guaranteed to have exactly what you're looking for.